There is a difference in the way God sees things and how the world sees things, five of which I am looking at in the first half of Advent this year. These are the promises of God, five values that God will put into the lives of his followers. These contrast with five values the world has. The fourth of these is that they may walk in my statutes and keep my rules and obey them. The opposite of this is saying tolerate me. No, it would not go down too well. What they need to hear is, “I love you.” Tolerance is good, love goes a lot, lot further. The middle ground between tolerance and love is acceptance. 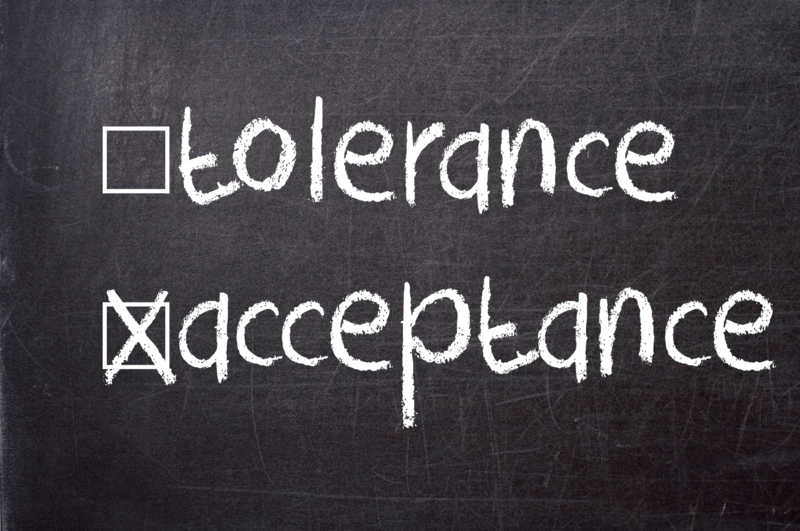 Acceptance goes further than tolerance, acceptance should be the minimum standard in society. We are to accept the stranger, give asylum to those who are dispossessed, food to the starving. One of the things I blog about is my autism. I do this so that as people become more aware of autism they may become more accepting and aware of what autism is. I am not a teacher of autism, just a person with autism, and it is awareness and acceptance that is my goal here. If you cannot accept us, at least tolerate us. I may be less than we are asking, but it is a start. But what has this got to do with obedience? Are we Christians not under grace and not the law? Yes, but the law does reflect the ethics of God. God’s law gives us perspectives of God’s justice and mercy. We are told not to murder, steal, commit adultery and covet because that reflects that God loves the other person too, not just us. When asked about the greatest law, Jesus did not give something which we must not do, he said we are to love God with everything that we are, and love others in the same way that we love ourselves. He was saying that it wasn’t rules that are important but relationships. Our relationship with God and our relationship with other people. Love is stronger than acceptance which is stronger than tolerance. When someone is asking to be tolerated, show them love. That is God’s way.